We listen in on the ultimate discussion. 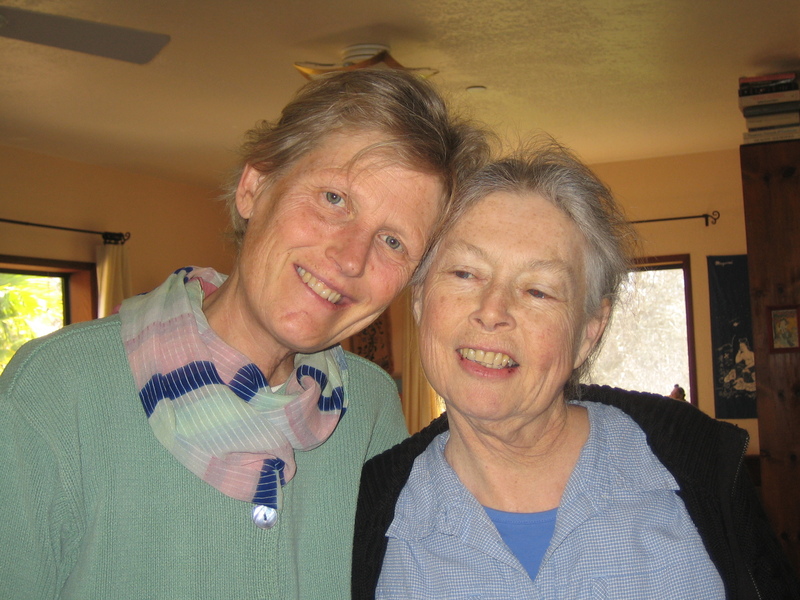 Two women, Shanti Soule and Stephanie Sugars, maneuvering the threshold of death. Shanti Soule was a working class Buddhist teacher, cook and fierce defender of rights for all oppressed peoples. 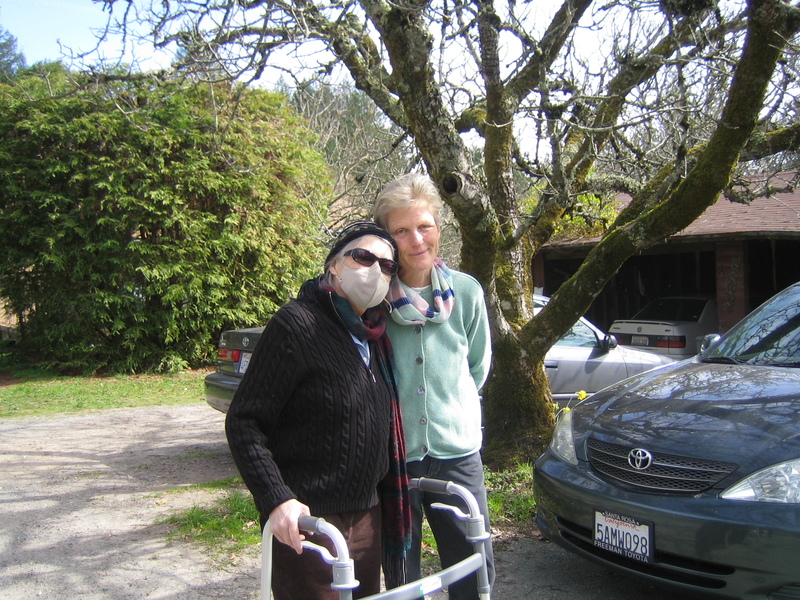 She was instrumental in beginning the East Bay Meditation Center, and, until the end, fighting for diversity in the dharma. Stephanie Sugars is an esoteric Christian with a Buddhist meditation practice and a long time cancer survivor. She facilitates an on-line group of 200-350 people who live with Peutz-Jeghers Syndrome, a rare genetic disease. Both women are lesbians. They share a love of meditation and nature. Stephanie and Shanti are skating together right there — along the threshold, living on the edge of death, understanding each other and taking time to explain to us — mere disabled folks not dealing with imminent death — so we can understand too. In this densely packed program, philosophy and death intertwine. Produced, hosted and photographed by Shelley Berman. Stephanie Sugars on Pushing Limits (scroll down article) Stephanie’s blog (you’ll have to register to see it; Stephanie’s writing is well worth the effort). Stephanie on terminal illness and suicide. This entry was posted in Cancer, Community, Death, Shelley Berman and tagged Buddhism, Mastocytosis, Peutz-Jeghers Syndrome, Shanti Soule, Stephanie Sugars. Bookmark the permalink.